As Singapore’s cost of living is more expensive than anywhere else on Earth, what can employers do to soften the deal when bringing staff from overseas? Singapore has once again been ranked as the world’s most expensive city, retaining its top spot in The Economist Intelligence Unit’s (EIU’s) Worldwide Cost of Living Survey for 2016. Comparing 400 prices of over 160 products and services worldwide, the survey found that Singapore was at least 17% more expensive than every other Asian city except Hong Kong. This poses some difficulties for businesses seeking the best foreign staff thanks to the higher cost of living that expats typically encounter here. HRD talked to Simon Baptist, chief economist at the EIU, about what employers can do to attract the best candidates in this environment. He went on to say that employers could actually use the survey as a useful tool to adjust staff salaries for those moving to a different country. However, salaries aren’t the only reason why “the world’s most expensive city” can still be attractive, Baptist noted. “Foreign staff are interested in moving where there are good career opportunities,” he added. However, cutbacks in industries such as trade and energy may act as a deterrent to those wishing to relocate here. Overall, employers should be focused on more than just cost of living when hiring staff from overseas, he said. The Index is calculated with 100 equalling the cost of living in New York City. With an index of 116, Singapore is 16% more expensive than New York City while Seoul’s index of 99 means it is one per cent cheaper. 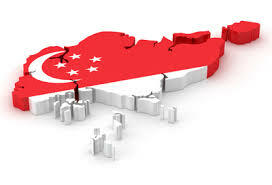 How can HR help foreign execs in expensive Singapore?